I downloaded this book, because I knew from Viv's blog that she is a fine writer, with high standards, so I knew I wasn't in for a misspelled, poorly formatted offering -- and I was intrigued by the opening passage I read as a sample. Irrepressible artist Isobel has survived most things and managed to bounce back from everything so far. A sequence of domestic disasters finally signals to Isobel that perhaps things aren't quite as rosy as she'd like. With her half of the inheritance, Isobel buys an isolated holiday cottage where she hopes to be able to catch up with some painting, as well as have the occasional holiday. The cottage is idyllic, beautiful and inspiring, but odd things keep happening. Doors won't stay shut, objects go missing and reappear in the wrong places and footsteps are heard when there's no one there. One of Isobel's new neighbours suggests that it is the fairies who are responsible, but Isobel is more than a tad sceptical: there's not a hint of glitter or tinselly wings or magic wands. As she works at a frenetic pace, the odd happenings begin to increase until even Isobel's rational, sceptical mind has to sit up and take notice. And that's when she gets really scared. Up until now, her motto has been that there's nothing in life that can't be made better by a cup of tea and some Hob Nobs. This time it's beginning to look like it'll take more than even chocolate biscuits to make things better. There is a leavening of edged humour running throughout this thought-provoking book -- and I can see why Viv ended up publishing the book, herself. This contemporary story isn't all about boy meets girl, though there is plenty of love in it. Neither is it any kind of thriller or mystery, though there is tension and death in it, too. And while it is on the edge of paranormal, you won't find any fae, vamps or werewolves stalking through it. In short -- it thoroughly blurs the main genre boundaries, which probably accounts for the fact that publishers and agents left it alone, despite the fact it is an original, well-written, engrossing story. 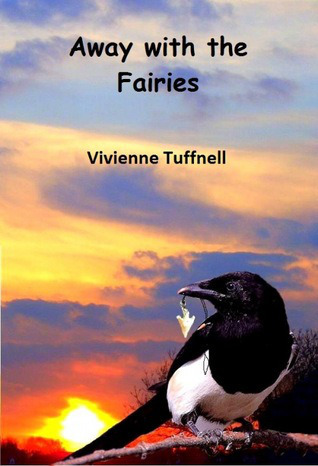 Along with Isabel, there is a cast of well depicted, realistic characters who help to make up Tuffnell's world and contribute to the richness of the world which bounces off the page. I stayed up reading waaay into the night to see what would happen next, as the story swept me up. Is the narrative arc brought to a successful conclusion? Oh yes -- and this could have so easily descended into facile sentimentality. Tuffnell is grappling with some gnarly issues here that has most of us staring into the darkness, shivering a little... What is the point of it all? What happens when we die? How will we be remembered -- if at all? It would have been so much simpler to have wrapped this story up in a thick layer of treacle and served it up as comfort food for the soul.